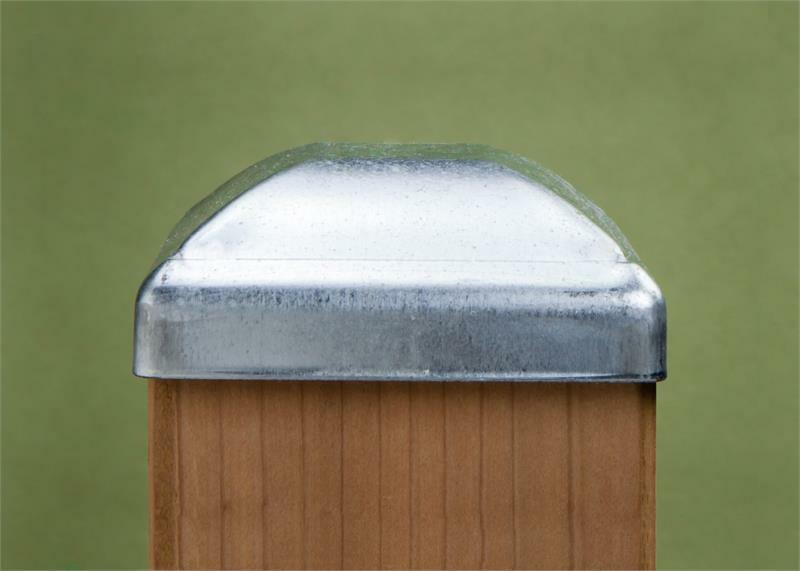 Home > POST CAPS > Standard Metal Caps > Galvanized > Standard Galvanized Cap 3-1/2"
Heavy-duty uniform galvanized metal press-on post cap. Protects your post tops from rotting. Will fit a standard 4x4 post. Actual Dimensions: 3 5/8" x 3 5/8" x 1-1/4" H. Ships out via UPS Ground (arrives in 3 - 5 business days). 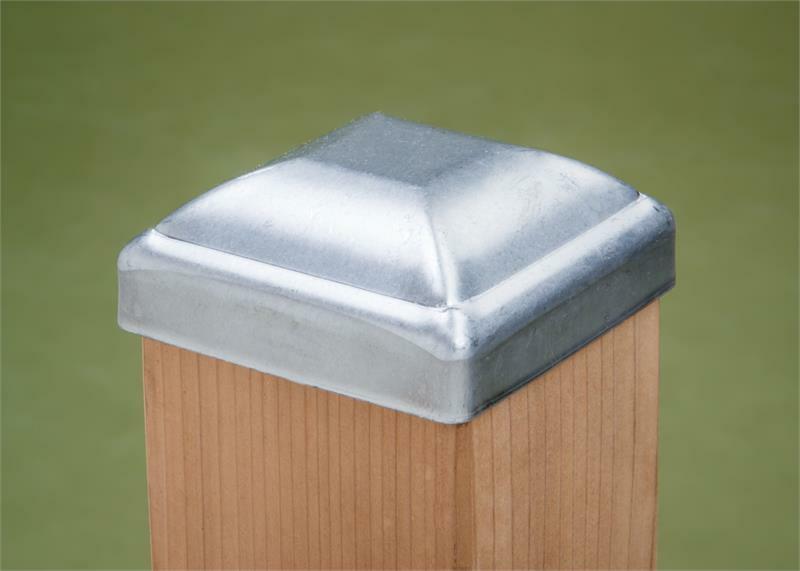 Plateau Top Galvanized Cap 1-1/2" x 3-1/2"